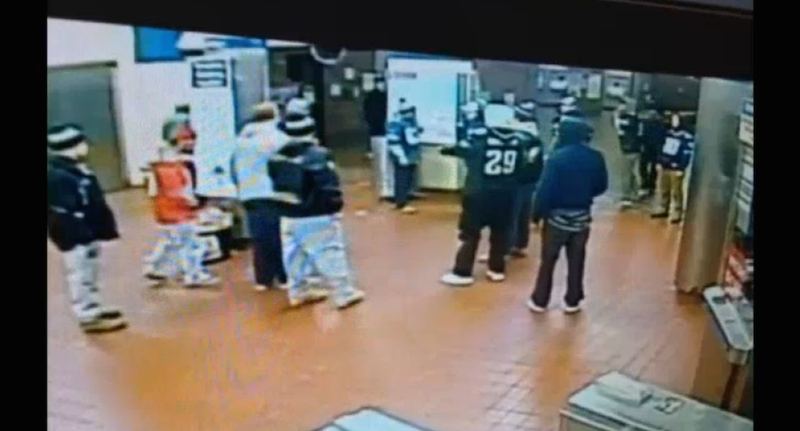 SEPTA police released this video Wednesday, which shows the scene before a Giants fan was knocked out at 69th Street Terminal after Monday’s Giants-Eagles game. The footage shows the Giants fan, who’s been identified as Anthony Righter, yelling at a group of Eagles fans. Eventually, a woman guides Righter away from the crowd, and most of them keep walking. The video then cuts to an alternate angle of the original footage, where one Eagles fan knocks out Righter.